Are you looking for some easy dinner ideas to cook tonight? Check out this round up for 15 recipes that are not just easy to make but use only use 10 ingredients or less! We all know that feeling – not knowing what to eat for dinner because sometimes life gets in the way and the planning time just didn’t happen! 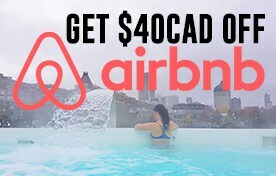 Well, that’s what this post is here for! 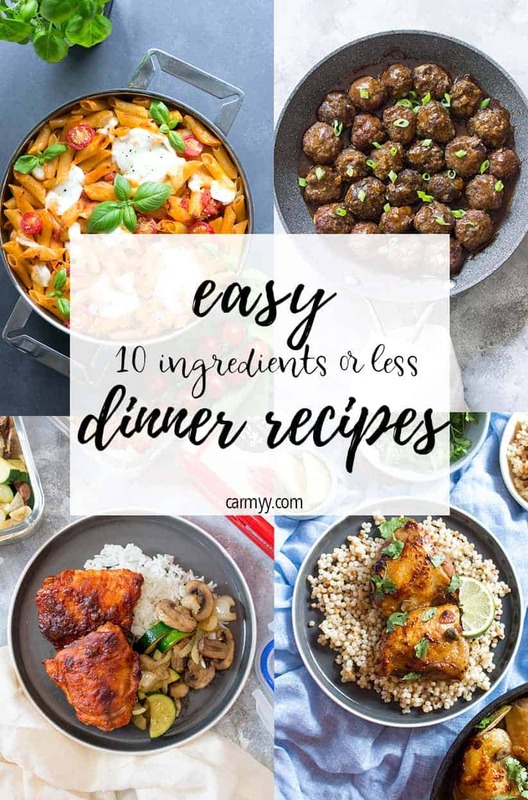 I’ve rounded up a couple blog posts from around the web and of course, this blog that you can make for dinner tonight. These 15 recipes are made with 10 ingredients or less (not including salt and pepper of course) so hopefully you have everything the recipe calls for in your pantry! Want to make sure you are always prepared? Check out this post of 5 freezer friendly chicken marinade post and 7 more freezer friendly chicken marinade post so you’ll always have marinaded chicken in your freezer! 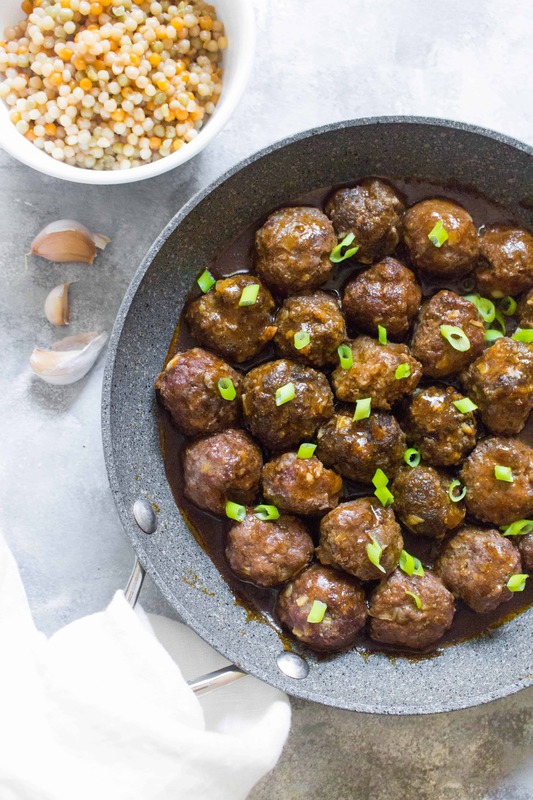 This asian inspired meatball recipe, Hoisin Sriracha Glazed Meatballs, will quickly become a meal prep favourite! Coated with a delicious sauce with a hint of spice, you’re going to want to eat it all week! 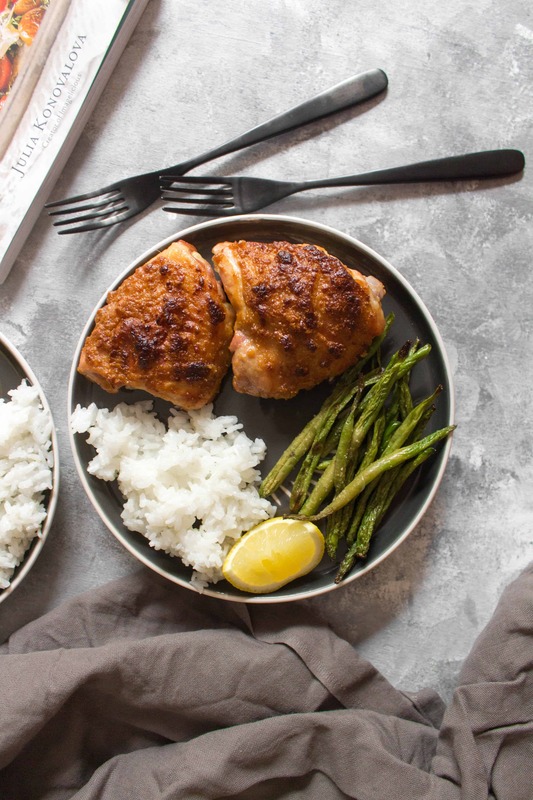 Juicy, tender, and delicious, these Chicken Thighs in Peanut Sauce with Green Beans are made in one pan and is the perfect weeknight dinner or meal prep for the week! 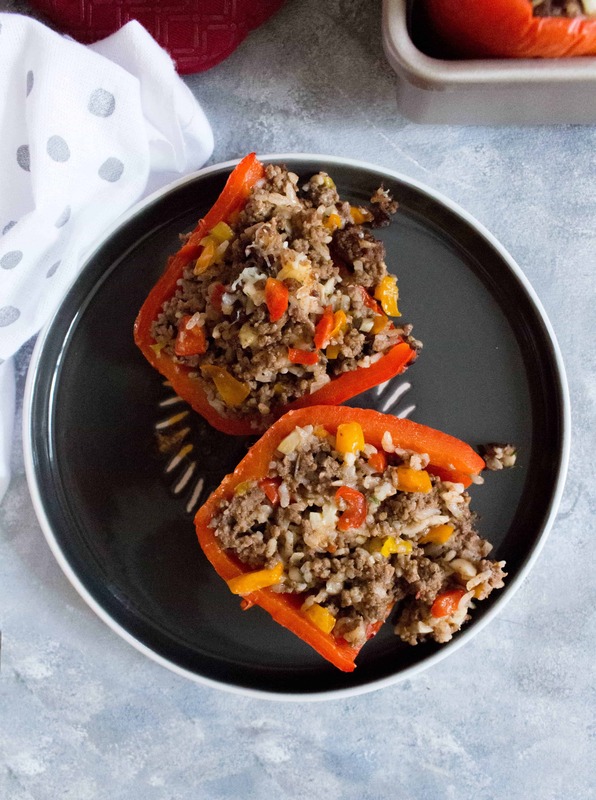 This easy stuffed bell peppers with ground beef is a delicious and healthy dinner idea for any night of the week! 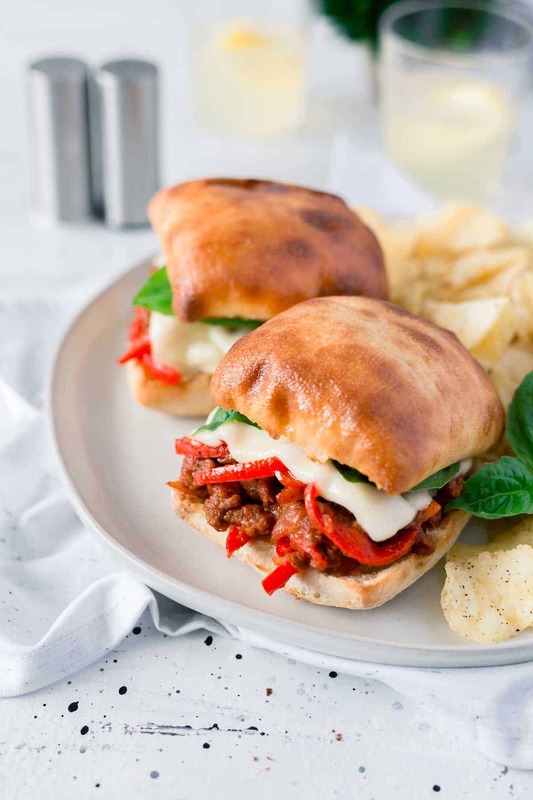 These Sausage and Peppers Sloppy Joes are some serious comfort food! They’re super easy to make, all you’ll need is just 25 minutes! Recipe from Food Folks and Fun. 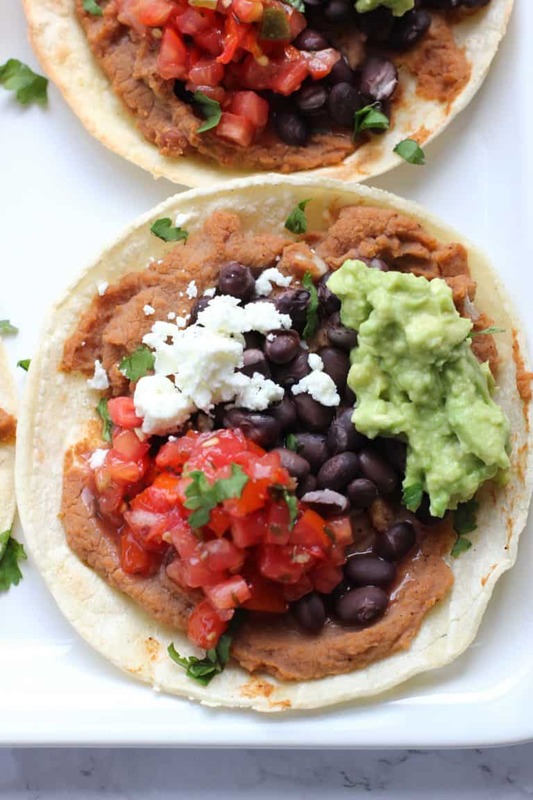 These oven baked tostadas heat up quickly which means you can have dinner on the table in just 15 minutes! 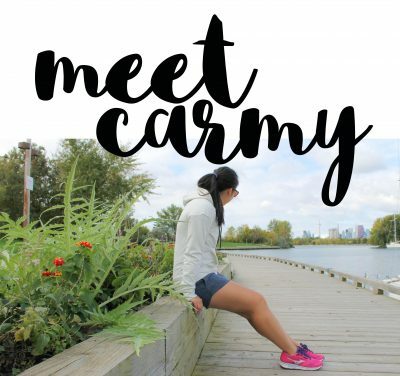 They’re vegetarian, gluten free, and customizable for the whole family! Recipe from I Heart Vegetables. 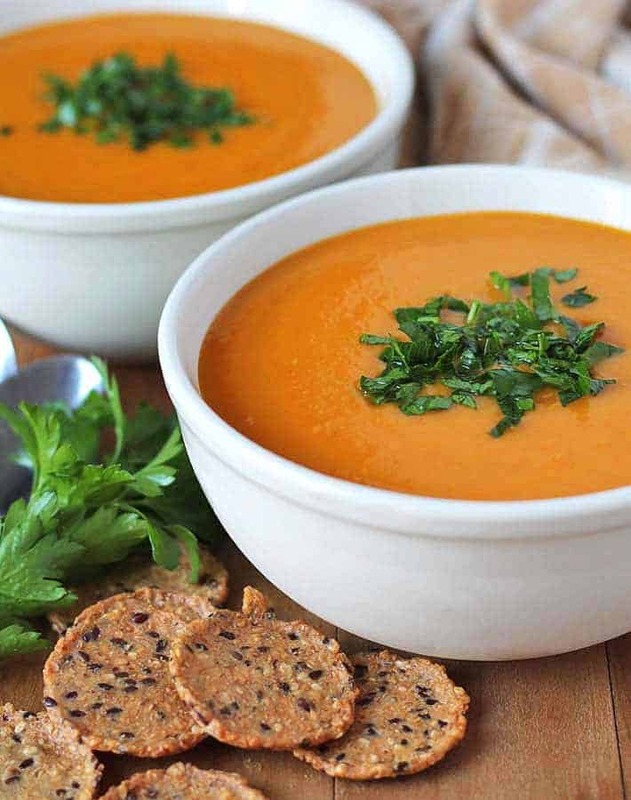 A simple, easy recipe for slow cooker vegan butternut squash sweet potato carrot soup. Perfect to have during fall or on a cold winter’s day. Recipe from Delightful Adventures. Looking for a lunch with a bit of a kick? 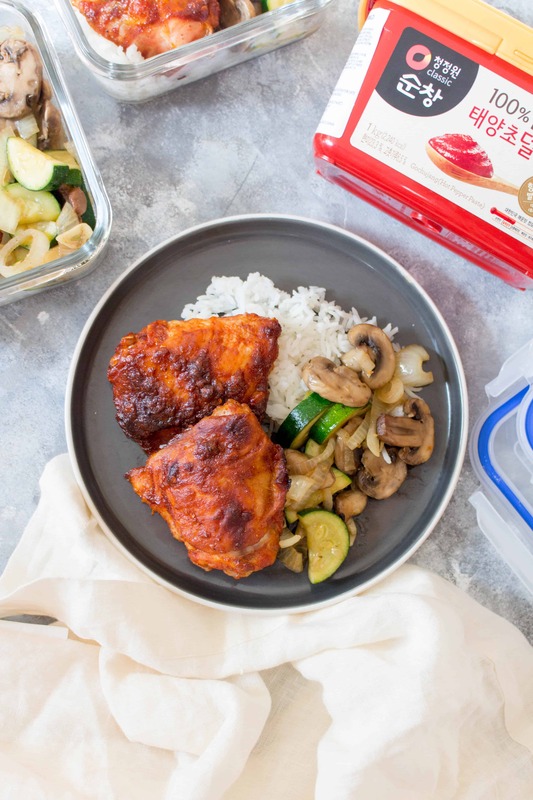 This Spicy Korean Chicken is prefect for you! 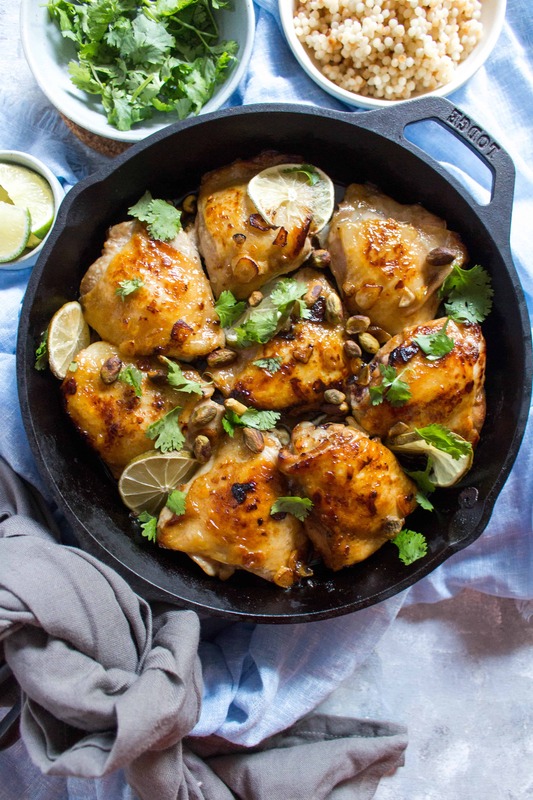 The chicken is oven baked so they’re wonderfully juicy and tender on the inside while still being crispy on the outside! 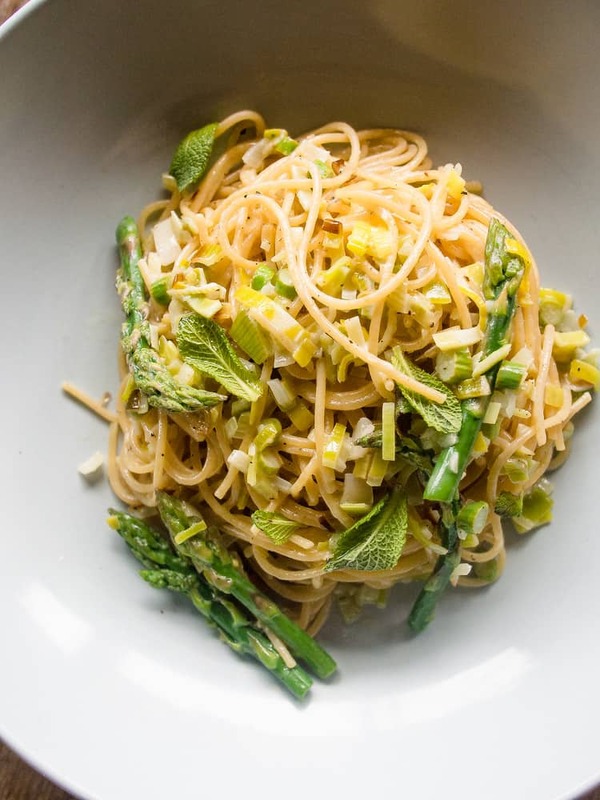 Asparagus pasta is a great dinner that can be ready in 10 minutes. Recipe from Bacon is Magic. 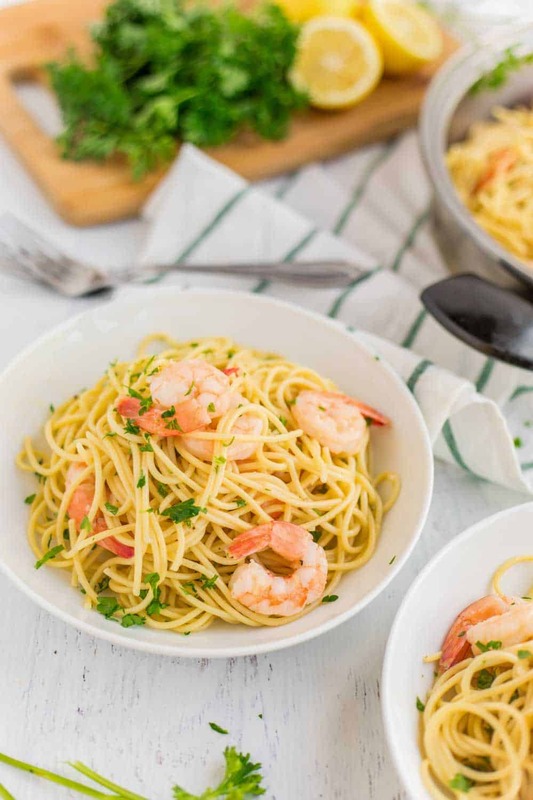 Shrimp Scampi Pasta is classic Italian comfort food! It’s made with butter, garlic, white wine, chicken stock, lemon juice, parsley, and shrimp. Recipe from Food, Folks and Fun. Looking for an easy recipe that looks impressive but takes little to no effort to put together? 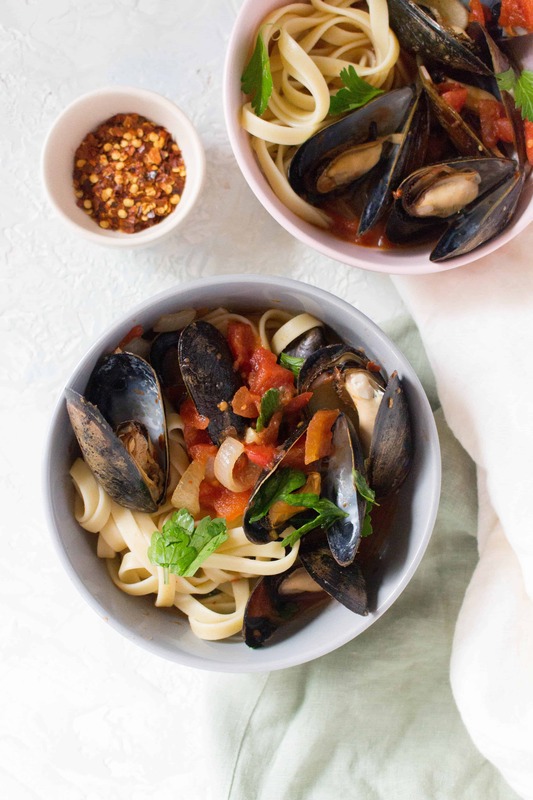 This Spicy Steamed Mussels is perfect! 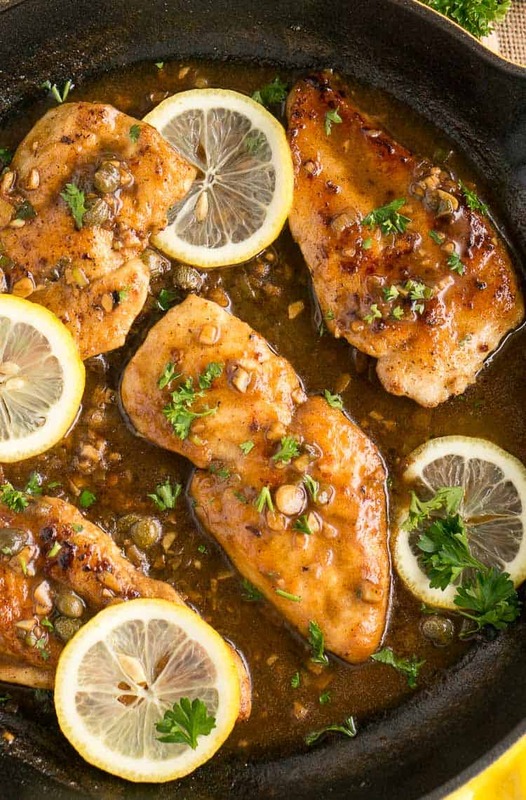 Italian Chicken Piccata – this family meal will win your heart not only with its bold layers of flavour but also for how simple it is to pull together. Quick and easy weeknight dinner ready in less than 30 minutes. Recipe from Delicious Meets Healthy. 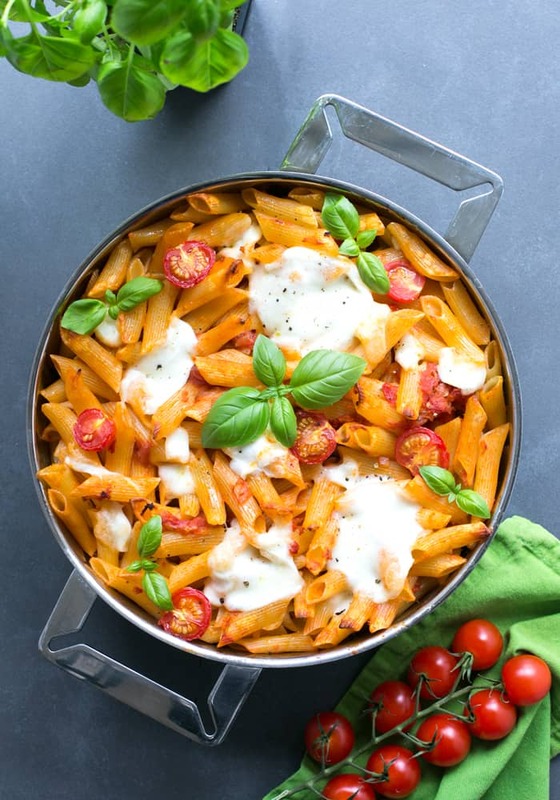 This vegetarian Caprese Pasta Bake is simple yet satisfying, great for a weeknight supper – Made with simple ingredients and ready in just 30 min! Recipe by The Petite Cook. 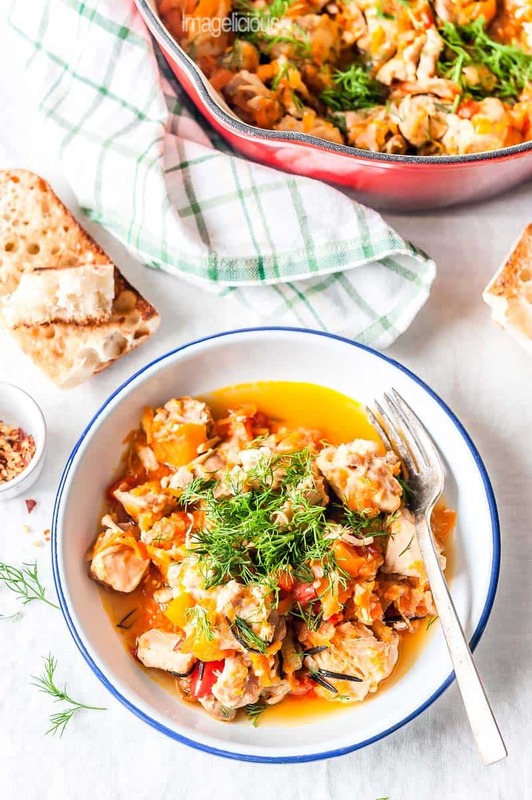 Healthy Chicken Stew is delicious and easy to make. It has only 5 ingredients and is loaded with vegetables. Made on the stove top or in Instant Pot, it’s a perfect meal to serve over rice, quinoa, or noodles. Recipe from Imagelicious. This Instant Pot (or Slow Cooker!) 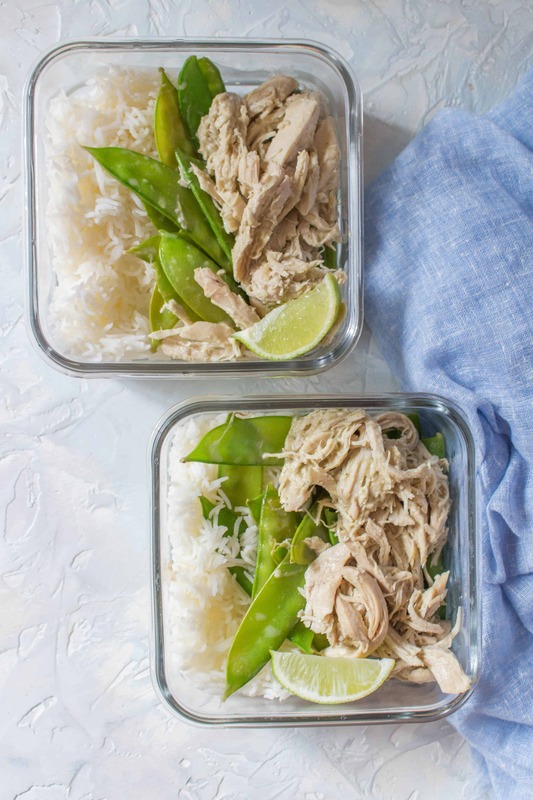 Coconut Thai Curry Chicken has been the easiest meal prep I’ve done to date! Not including the rice, this recipe only has 6 ingredients.